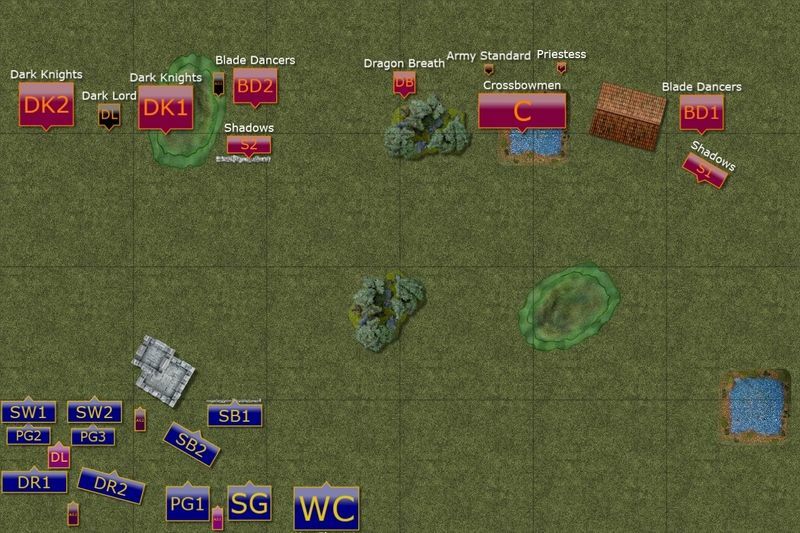 I have also attended Clash of Kings - Australia as a part of CanCon 2017 and will be posting 7 new reports from the games in the following weeks. The tournament reads like it was loads of fun. And 62 players is a great size. It sounds like the Kings of War scene in Australia is very much alive. Congrats on your finish. 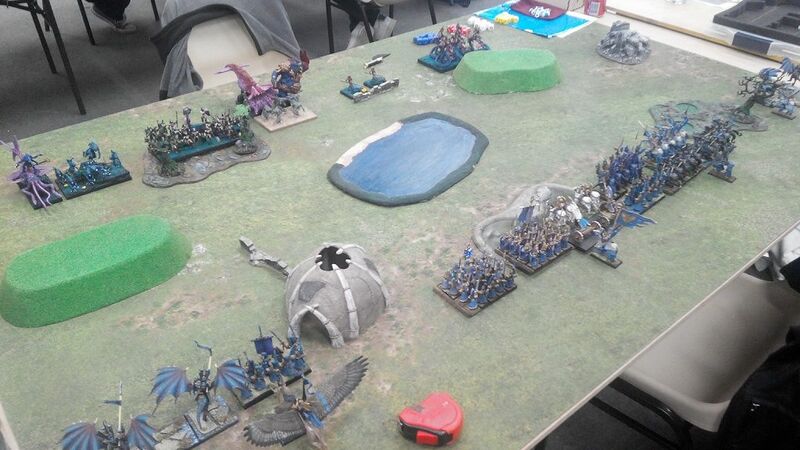 18th is a great finish, especially if you're still getting to grips with your army. I think you have the right attitude to greatly improve. The realisation that you made mistakes and not just lost because of dice or other factors outside your control means you know where you can start improving. 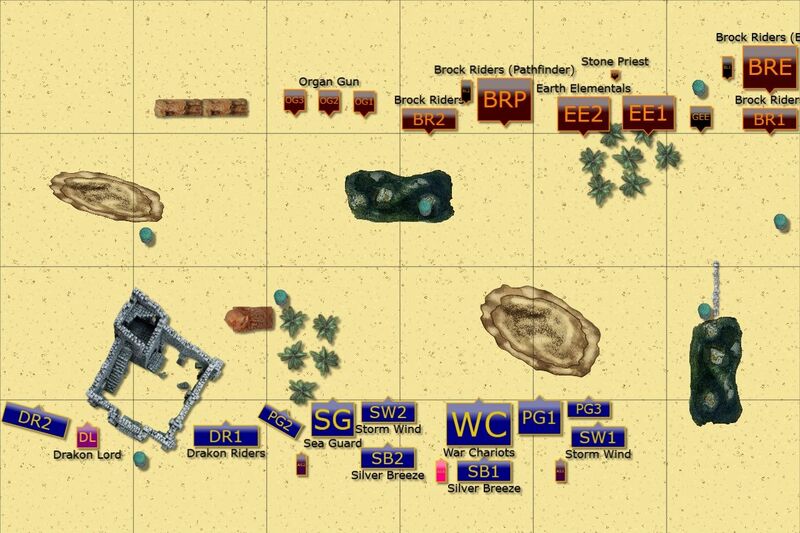 And sticking with a single play style or army list lets you get to work on the strong and weak points of your army and lets you get to know it inside and out. Which makes a lot of difference, especially in a competitive setting. Thanks for the battle reports. I'm just starting kow, I don't suppose you've got any pointers for a beginner? I can probably field anything using high elf models, but I'm not sure where to start! It was the best tournament I have been to so far. 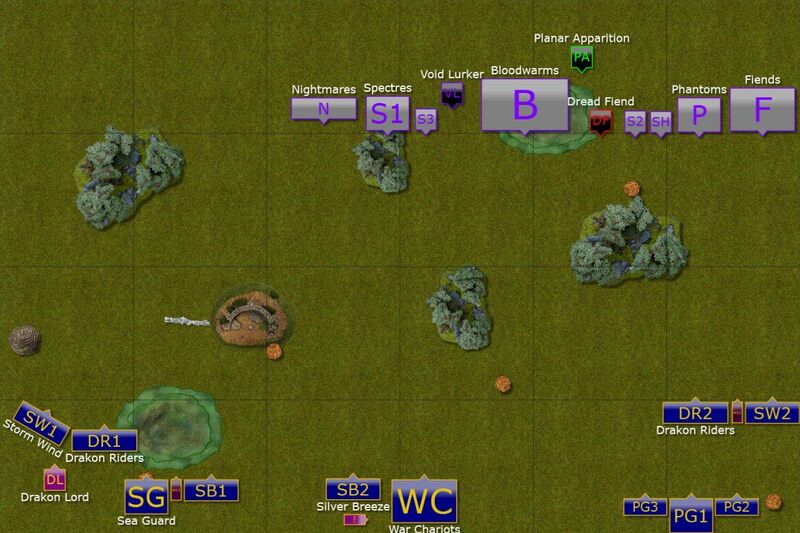 It was very interesting to see that people who participated were not the same who used to play in WHFB events. It means that the player base is actually bigger than it seems at the first glance, in particular if one focuses on a single system. 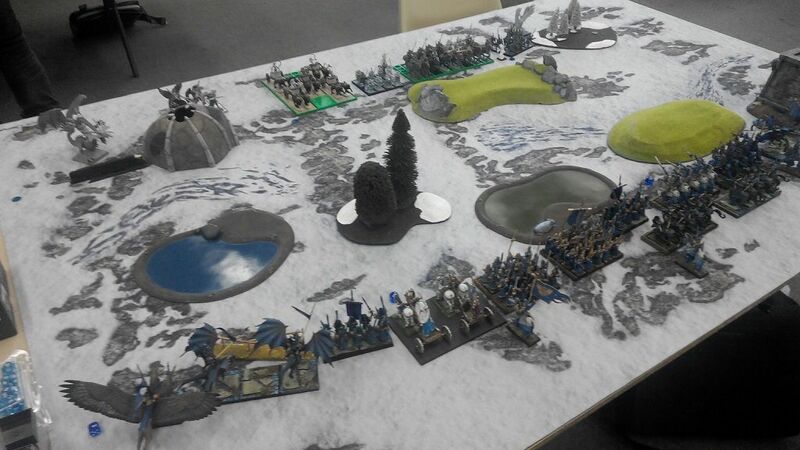 In addition to KoW there were around 50 people playing AoS and around 20 playing 9th Age. I always preferred to keep playing with a single army and change things only a little if at all. I find it even more helpful when playing with chess clocks. Another reason is that I can have a realistic chance to paint models for that army. I am lucky to have enough to field painted force but the army is comprised of models from all editions of High Elves since 4th! I would like to paint some models that waited very long for that and replace the units that should go for a deserved retirement. I am very happy to share my observations so far, hopefully they will be of some use. 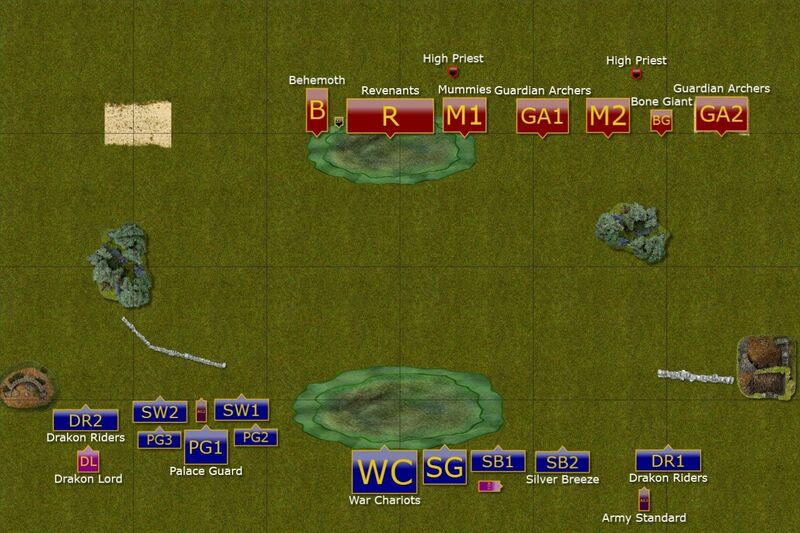 In general, Elven army offers very broad choice of units that even in the frame of that faction offers a lot of different approaches. It is simply up to you to decide which units you want to have in the army. If you are not sure try to play with different units at the beginning simply to get the better understanding of what you can do with them. What is the size of the game you want to start with? Do you want to play smaller battles or jump straight to 2000 that seems to be a standard now? I would actually start with more generic ideas about the game as it needs a bit of a different approach. Basically, try to look at the game and the rules with the fresh view. It is a different game with unique set of rules and it deserves to be treated as a separate system. It is natural to draw comparisons but I found it can actually affect your way of playing in a negative way. Simply speaking, when you compare KoW to Warhammer, you may make wrong decisions because you assume the units may behave the same in both games. 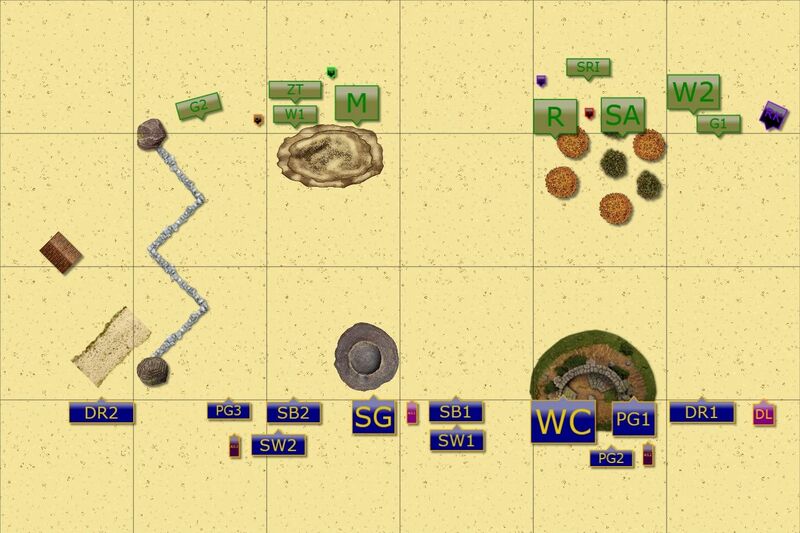 I would suggest playing a few games in Kill scenario but moving to other scenarios as soon as possible because they add a very nice and interesting dimension to the game. It does happen that you may lose more than your opponent but when you win the scenario you still win. That creates different dynamism during the game and makes them much more interesting. Right, army list building. I think I would still try to play with something you either like the best or "feels right". Some players like to compose the army with blocks in mind. For example, they will have 2 regiments or 1 horde of shooters with some small troops as support and a hero that can inspire that block. Their melee block would comprise heavy hitters like Storm Wind cavalry regiment or Horde of Drakon Riders with a hero that inspires them, e.g. drakon lord or dragon lord if you want to go for big monsters. That allows them to think about fewer elements during the game but may be less flexible and more predictable. Another option is to take units that may play well defined roles. Shooters, melee specialists, sources of inspire and try to see what percentage of which may be the right thing for you. Whatever you choose movement is the key. It is very important part of the game and it takes a bit of getting used to how units move in order to get them to the right position. Shooting can be powerful but you should approach this phase with more flexibility. You don't have to rout units for yous shooters to be useful. In particular in last turns of the game, when units accumulated damage points, all you need to do is score 1 more wound to force that crucial nerve check and you may still get that enemy. 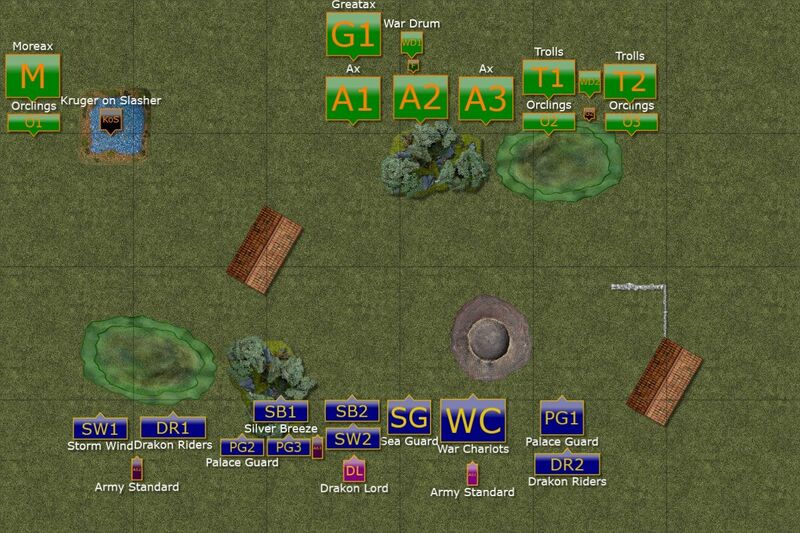 In melee, getting the flank/rear charges is a huge bonus so getting the units to the right spots is very important. Also, attacking one enemy with a few of yours may be beneficial as not only you clear the unit but also you have a chance to reform to better face the counter attack or be in a good position to attack next turn. I am happy to add more specific suggestions so let me know what did you think about in particular and what seems to be the biggest obstacle at this stage. I hope the above was helpful too! Thanks for the detailed reply. I'll come back in a bit with some comments, but it is a very different game. I was caught out straight away by not having both sides attacking in the same turn! I thought I could hold up a giant, but apparently not! 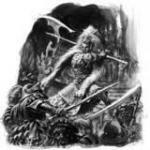 How do you feel now about the Ninth Age and Kings of War? Still play both? 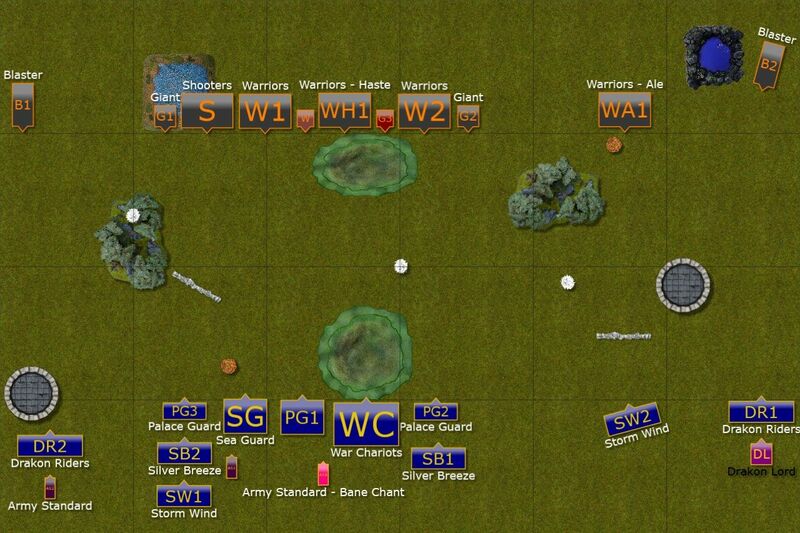 We have been looking into KoW now, in our group, after trying out some the Ninth Age. Real nifty system that but I'm still leaning towards the Ninth Age. What I dislike about that game is that the rules keep changing as often I have time to get a game in. Thanks for the BatReps! It will be very interesting to read them again knowing a bit more about the rules. Your Drakon Riders - are they Silver Helms on Terradons? Swordmaster made a tutorial on it here: Swordmaster's Army Pictures - Drakon Riders. It's from parts from all over. Mainly cold one knights and dragon prince parts. I fully switched towards Kings of War. It is far superior system, with a very clear set of rules. Easy to learn but hard to master. It is also extremely good for tournament play too. It took me 2-3 games at the beginning to get used to new rules and for me it is the best mass fantasy game I have ever played. I am glad you like the reports! If you have any particular questions - just ask, I will be more than happy to help. 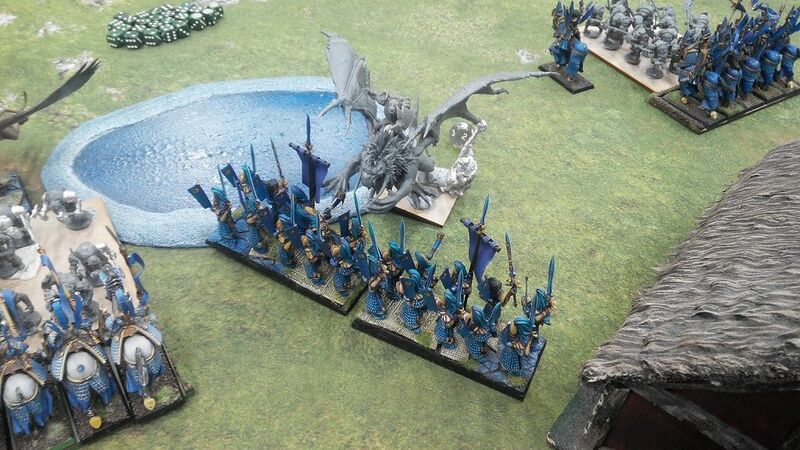 Thanks, Rod, for linking the article about Drakons. They are actually made out of 3 sets: Cold One Knights, Dragon Princes and Vargheists Wings. Very straightforward to make. I like the level of detail that is in the WHFB 8th and t9A - all that chaotic fleeing and such, the abundance of magic and the magic items, the latter KoW has of course. 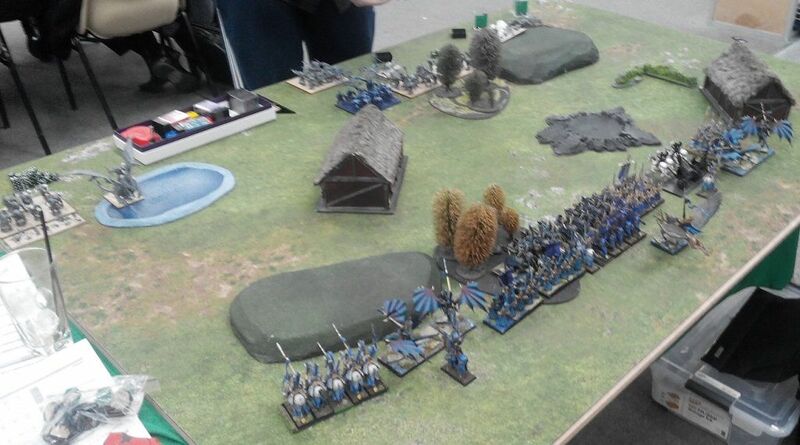 I am missing these when I played KoW. Also the units I expect to differ (SM/WL/PG & SH/DP and the few new ones) - I now realise you can personalize, or realise, these with magic items. 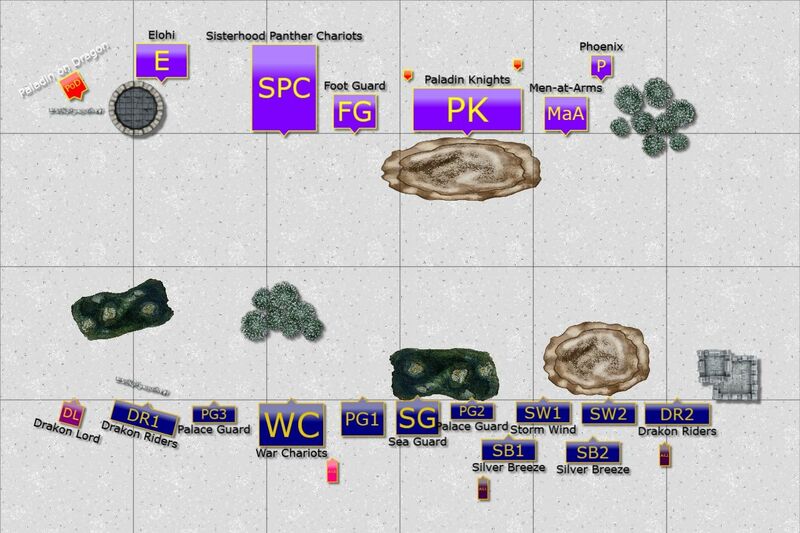 Kings of War is indeed very neat as a ruleset. (Plus that new historical addition, sounds very intriguing.) I need to try it a few more times! Thanks, I see that now in the other BatReps. They look awesome! One of the local stores will be hosting the campaign so I hope to attend at least a few gaming evenings. They will play 1 scenario each week and I am sure there will be quite a few people showing up for the big final battle. I really like the new models too, even if they are not on my shopping list. I hope they are setting a new quality standard that will help Mantic sell their models. Btw, you do know you can get a digital version of the campaign too? I've been reading this blog of yours on and off since you played MSU in 8th. Your unconventional MSU approach has always been very interesting to read in a meta, where big blocks (hordes) were the common thing to see. I understand you now are leaning towards Kings of War, which I also have heard good things about. However, in my area most people have gone to 9th age, which is now dominating the tournament scene. Anyways, I just thought I would share a small anecdotal story from my last 9th age tournament . I needed to try something completely new and was looking for a build, which also might confuse my opponents. 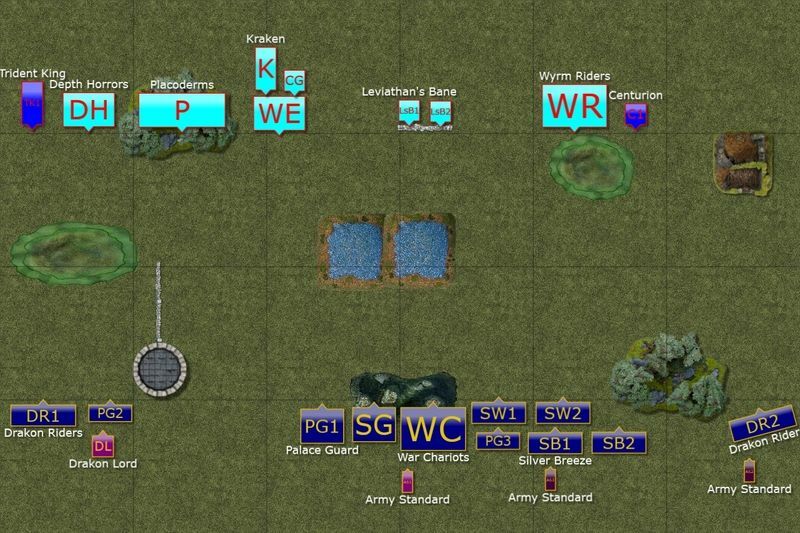 I remembered your blog, went back and read a few of your old 8th battle reps with Larry the loremaster . They really gave me some inspiration for a list in 9th age with high elves. Not sure how much you know about the current rules, but they favor MSU more IMO than 8th. You can now break steadfast with a flank charge made by a unit with 2 full ranks. Enemy characters can't make way to the flank etc. So I played the tournament with a minimum invested in characters and lots of scoring units. It was very entertaining and challenging to play! You have so many opportunities in the movement phase and you gain board control rather easily which is a big step towards victory. 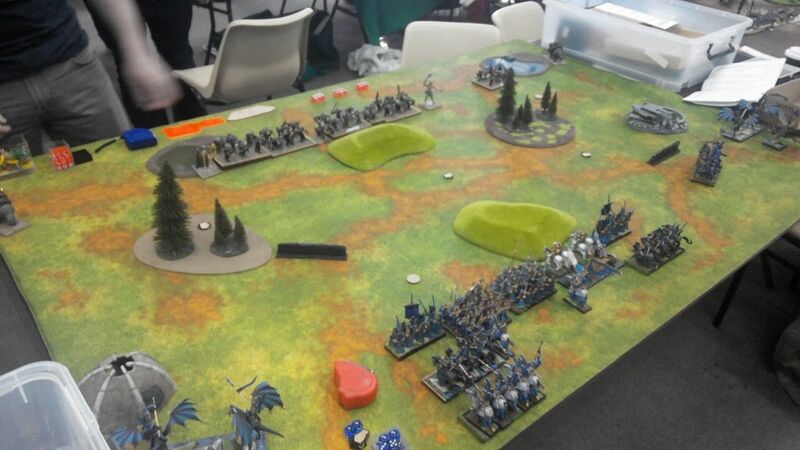 It also seemed like my opponents didn't really know how to approach my army since it was spread across the whole table. The tournament went much better than I anticipated and I actually took first place and had a great fun as well . Thank you for a great blog and for some much needed inspiration of another approach to the game . Thanks a lot! I am glad to know you liked the blog and that it can still be useful! I tried 9th Age but moved to Kings of War as it is the game I enjoy a lot. That's why I don't quite follow 9th Age developments anymore. But I am glad you like it and that you enjoy High Elves under this system. More importantly, congratulations on the first place! Really well done! pretty brutal game. But it looks like lots of fun. I think you were pushed hard throughout the game. Also, it looks epic. Great looking armies on both sides of the field. Which is always good. Thank you. It was quite blood game for me indeed. 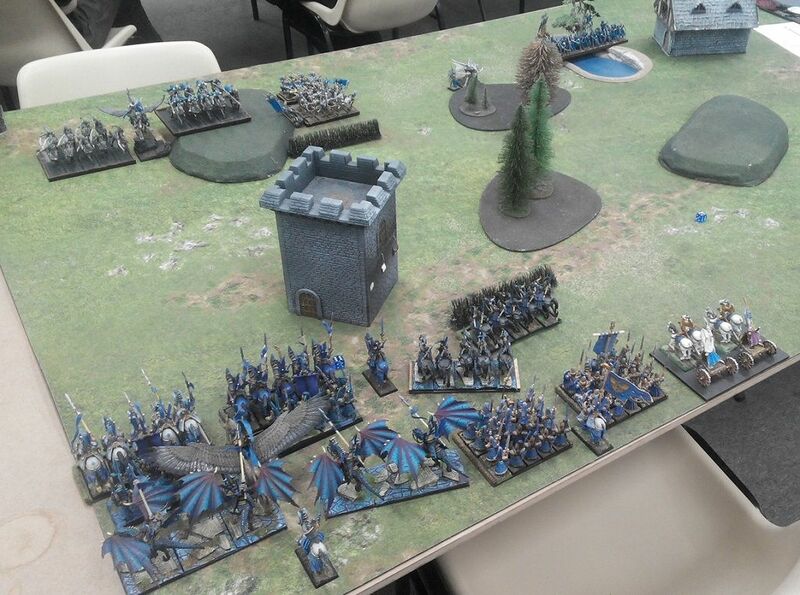 And yes, my opponent's army looks awesome while mine is a constant WiP. Here is the link to game 2. Here is the link to the first game in the frame of Edge of the Abyss campaign. The global campaign, Edge of the Abyss, is now over. The forces of Good prevailed but it is yet unknown how the result of the conflict is going to affect the world of Mantica and the future of the Kings of War.